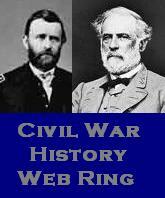 Many of our authors review books for publications, including journals, magazines, and other historical outlets. If you are a publisher in search of reviewers for your books, please do not hesitate to use the contact page to let us know. 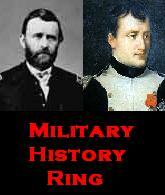 Military History Blog would be happy to post a review of your book on this site. To read Book Reviews written by our authors on this site, check out “Book Reviews” in the Categories Menu on the left side of this page. The Seven Years War in Europe, 1756-1763, by Franz A.J. Szabo, reviewed by William Young (September 2012). The Business of War: Military Enterprise and Military Revolution in Early Modern Europe, by David Parrott, reviewed by William Young (August 2012). The Road to Rocroi: Class, Culture and Command in the Spanish Army of Flanders, 1567-1659, by Fernando González de León, reviewed by William Young (August 2012). The Crimean War: British Grand Strategy against Russia, 1853-56, by Andrew Lambert, reviewed by William Young (August 2012). Wallenstein: The Enigma of the Thirty Years War, by Geoff Mortimer, reviewed by William Young (August 2012). Empire and Military Revolution in Eastern Europe: Russia’s Turkish Wars in the Eighteenth Century, by Brian L. Davies, reviewed by William Young (July 2012). Marshal Vauban and the Defence of Louis XIV’s France, by James Falkner, reviewed by William Young (January 2012). Cross and Crescent in the Balkans: The Ottoman Conquest of South-Eastern Europe (14th-15th Centuries), by David Nicolle, reviewed by William Young (August 2011). Hitler’s Commander: Field Marshal Walther Model- Hitler’s Favorite General, by Steven H. Newton, reviewed by T. Kunikov (July 2007).